Well folks, TCPAWorld.com has officially launched its podcast! Talk about amazing. The new podcast–fittingly dubbed “Unprecedented”–is “trimulcasted” from three different locations. (How is that even possible?) Squire Patton Boggs has invested the resources necessary to maintain podcast studios in Los Angeles, Atlanta, and D.C. and TCPAWorld Rulers from all three locations join forces for the first ever Unprecedented podcast episode, recording live across the country. Not only does Unprecedented feature a huge cast of truly knowledgeable TCPA aces, each week the podcast will provide insights from titans of the TCPAworldscape and a breakdown of all the biggest news involving the TCPA. But the biggest news is our huge interview with Edelson, P.C. founder Jay Edelson–aka the boogey man. I think that you are going to see a nine figure TCPA settlement… I’d be pretty surprised if there isn’t one in the next year or so… I think there will be a nine figure settlement in the next year or so. -Jay Edelson on the Unprecedented Podcast, Record Date March 29, 2019. You can’t miss this first ever episode of the Unprecedented podcast– available here. 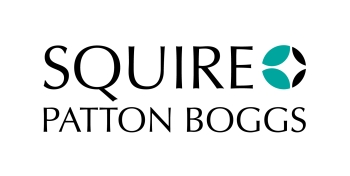 And don’t worry, the Squire Patton Boggs TCPA defense team will be back each and every week breaking down the biggest TCPA news and bringing you insights and analysis from the biggest players in TCPAWorld.